Police shot a Hallstead man at least five times on Tuesday, Sept. 11, after he failed to comply with commands to drop the gun he held as he approached troopers at the scene. James Lewis, 38, Hallstead, sustained at least five distinct wounds, including an entry wound in his left rib area that traveled toward his abdomen; a shot that shattered his left femur; an entry and exit wound in his right thigh; and grazing wounds to his left shin and scrotum. He was transported to UHS Wilson Medical Center, Johnson City, N.Y., for treatment. Troopers involved in the shooting were not identified in the affidavit of probable cause filed in New Milford District Court on Wednesday by Troopers Carl Ives and Walter Koza, of PSP, Dunmore. According to the affidavit filed in New Milford District Court, Lewis was unresponsive when he arrived at the hospital. He faces assault charges relating to what police described as the severe beating of Stephen Esposito, 66, a former mayor of Hallstead Borough. Esposito was also transported to Wilson Hospital for treatment of his injuries. According to the affidavit, Lewis called 9-1-1 just before 9 p.m. on Tuesday, requesting an ambulance for Esposito, and indicated he was bleeding from his eyes and nose. Police say Lewis became aggressive with the 9-1-1 operator and incoherent when questioned. Police were dispatched to the Dubois Street residence and informed Lewis had been making threats toward law enforcement. Five officers arrived on the scene; with four positioning themselves in front of the home and one taking up a position at the rear of the residence. According to the affidavit, troopers saw Lewis holding a knife in front of the doorway to the home. A neighbor told investigators that he witnessed Lewis go back inside and come out holding a handgun. Lewis was repeatedly told to drop the gun by the troopers as he approached them and told police, “You are going to have to stop me,” the neighbor reported to investigators. Police then fired at Lewis. The statement from the trooper positioned at the rear of the residence matched the neighbor’s account of the incident. After the gunfire, that trooper came to the front of the home and found Lewis lying on the sidewalk. A green handgun was located next to him. After EMS removed Lewis from the scene, police entered the home to find in injured Esposito lying in the kitchen. He was found to be in possession of a handgun which was removed from his person prior to transport to the hospital. Lewis is currently under medical care and will be charged by New York State Police as a fugitive from justice; he will then face extradition proceedings back to Pennsylvania. He was charged Wednesday in New Milford District Court with aggravated assault, simple assault, reckless endangering, and terroristic threats. No troopers were injured in the Tuesday night incident. 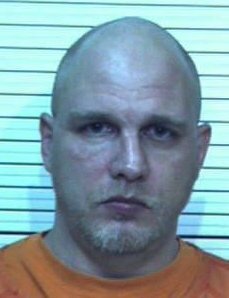 PA State Police, in conjunction with the Susquehanna County District Attorney’s office continue to investigate the incident, and additional charges against Lewis are expected to be filed. Be the first to comment on "Troopers shoot man brandishing gun: Former Hallstead mayor found beaten in home"